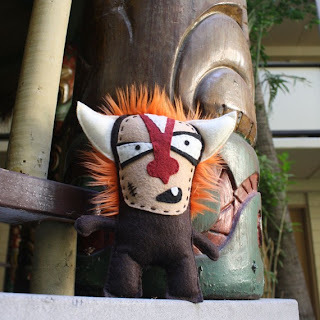 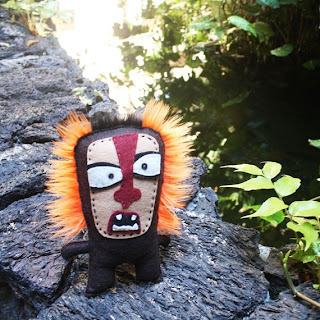 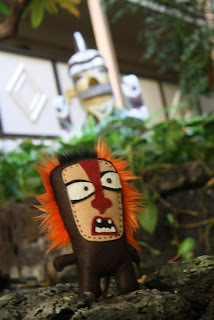 As I have mentioned many times, I am always on the lookout for more creatures for my tiki room (Well, to be honest, I am always on the lookout for more creatures for my every room; BUT my tiki room is the most difficult to shop for, at least with regard to plush!) 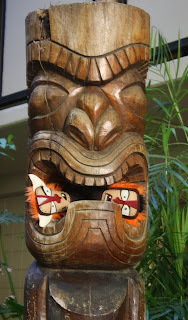 HOWEVER, Plush Parade has come through for me, big time, with not one, but TWO fabulous plush tiki guys! C'est magnifique!